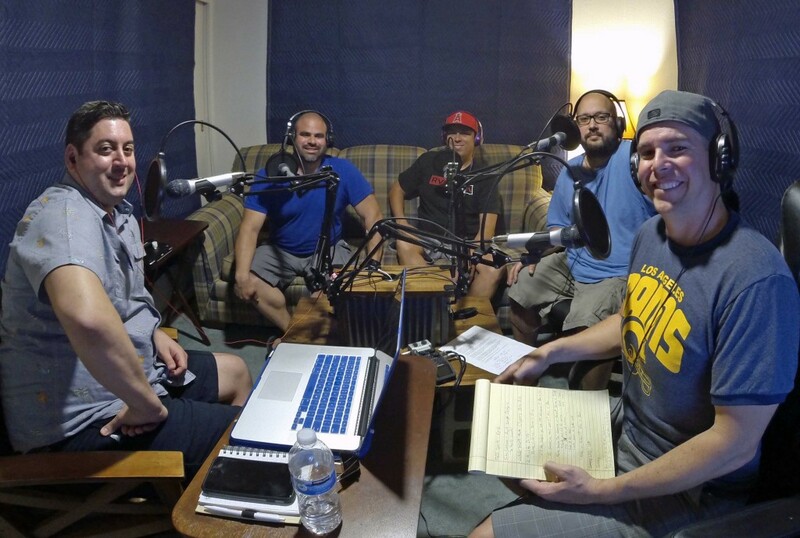 Guys In Shorts are bringing sports talk podcasting to Los Angeles! We are your weekly breakdown of sports headlines straight outta Los Angeles. Step into this backyard BBQ style SportsCast and taste what life is like for the LA sports fan… spoiler alert: life is always good for the LA sports fan. The guys (and Ben) give you their take on anything and everything surrounding LA sports culture. So, whether you’re grabbing a brew, lathering up with sunscreen, or cruising down the 5 at three miles per hour, the “Guys in Shorts” have you covered on everything you need to know in LA sports! Ben Garcia: Dodgers, Lakers, Raiders** and general disagreement with everyone. Check out our latest episode or subscribe to us on iTunes and Stitcher. Don’t forget to follow us on Facebook and Twitter. **We promised Ben he could talk about the Raiders every now and then even though they aren’t an LA team. That would be your opportunity to use the restroom or refresh your cold beverage.